Walden by Henry David Thoreau contains many extraordinary passages. I want to focus upon a particular set of images that the great essayist creates regarding the mutability of everyday human lives and endeavors and the way in which they relate to nature. I find this passage both moving and thought provoking. I also sometimes look at an old place, be it an office building, factory (Thoreau might cringe at my commercial and industrial connection to his ideas), home, or even a park that has been around for a very long time, and I think about all who have come and gone before. Did these people, who lived, loved, laughed, fought and suffered, ever think how the places that they occupied would change and decay over time? Did they ever imagine that some of these places might be abandoned? I think about people occupying buildings, homes and other places now. Is anyone else thinking about what these locations will become fifty or a hundred years hence? Of course Thoreau is talking about the mortality and the finite nature of human life and endeavors. The limited duration of people’s existence and actions in the face of change and in time, is starkly contrasted with nature which at least in a relative sense, seems to exhibit a permanency. Sometimes the well dent is visible, where once a spring oozed; now dry and tearless grass; or it was covered deep—not to be discovered till some late day—with a flat stone under the sod, when the last of the race departed. What a sorrowful act must that be—the covering up of wells! coincident with the opening of wells of tears. These cellar dents, like deserted fox burrows, old holes, are all that is left where once were the stir and bustle of human life, and "fate, free will, foreknowledge absolute," in some form and dialect or other were by turns discussed. It seems to me that throughout Walden Thoreau shows great regard for human reflections and philosophical thoughts of all types, including those concerning “fate, free will, foreknowledge absolute”. Here however, he seems to be turning a reflective and critical gaze upon even his own views and priorities. Of all the important philosophical topics that people ponder and that Thoreau expresses great interesting in elswhere, I think it may be important that Thoreau chooses “fate, free will, foreknowledge absolute” as an examples of important human thinking and discourse. 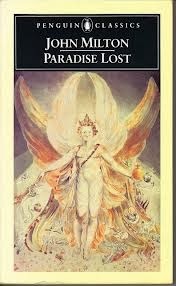 Perhaps he is reflecting upon the reality, that in the end, whether we are guided by free will or by fate, what we say and do, will pass away. All that will remain will be nature. Elswhere In Walden, Thoreau rarely dwells upon such sentimental fatalism as he does here. Indeed, this work is filled with the images and musings about change; seasons change, landscapes change, humans change the environment, etc. However, the author usually celebrates change as a wellspring of new life, new experiences and beauty. Here Thoreau chooses to devote a few pages to the sadder side of existence. In doing so he is exposing what can be viewed as the triviality of certain things that we value very highly. I am glad that he does so. I find these descriptions of the loss inherent in the inevitability of change to be aesthetically masterful. 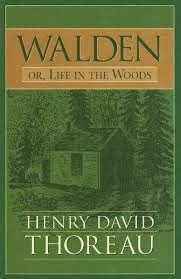 A recent reading of Walden by Henry David Thoreau has given me much to ponder. I will not attempt to encapsulate the entire work in a single blog entry. Instead, I may post several pieces on particular points that interested me. 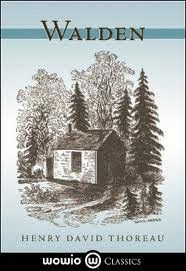 Contained within Walden is the subpart titled “Reading”. I think that this segment is often overlooked, as it does not focus upon humanity’s relation to nature, a favorite point among those who enjoy discussing Thoreau. In this section, Thoreau engages in a relatively strong, I would even describe it as scathing, attack upon folks for their reading habits. If the great American essayist were alive today, he would surely be labeled as the dreaded ”book snob”. Thoreau decries spending ones life reading what he describes as “Little Things”. From a personal point of view, but without engaging in the judgment of others, I am with Thoreau so far. I mostly try to avoid so-called easy reading. I do so mostly because I find such “light reading” to be boring. Personally, I feel that labeling folks who engage in an activity less seriously than I do as “feeble intellects” is not the best path to a comprehensive and balanced view of the world. Everyone finds substance in life in different places. If I am quick to judge an individual who engages in such reading, I may also be quick to overlook the fact that the person has developed artistic abilities that I have disused, or has developed other skills or virtues that I have neglected. For instance, a person who spends several hours a day listening to and studying classical music might be inclined to look down upon me as someone who is wasting time that could be spent exploring that particular art form. One needs to be very careful before being too critical concerning the intellectual and artistic pursuits of others. Everyone is different and exhibits varying strengths and weaknesses. On the other hand, I find the above advice personally agreeable. As reading goes, it has been my lifelong, number one hobby. Thus, I look to books to challenge me. I want to mainly stick with “the best of literature,” and I wish to become acquainted with varying and diverse points of view as well as come to know both the wisdom and, I will add, folly contained in great books. 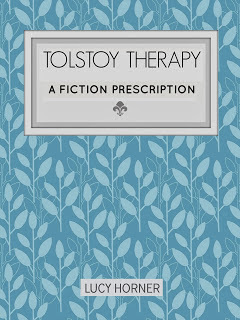 Thoreau spends several pages extolling the wisdom of the ages that can be discovered in books. He concludes that words can be life changing. They can open new vistas to us and make us better people. He believes that certain forms of wisdom are universal and, of course, can be accessed by reading great books. There is a widely discussed intellectual kinship between Ralph Waldo Emerson and Thoreau. Emerson heavily influenced Thoreau and both shared many common views. On the subject of books and great authors, however, I find that, at least in this essay, Thoreau is less suspicious and cautious about assimilating the thoughts and opinions of great authors. My commentary on Emerson’s view of books in the American Scholar is here. In that work Emerson seems to be making the case that one should be very wary of the “life changing” aspects of books. He is highly critical of accepting the ideas of even great intellects. In contrast, Thoreau gives a lot of credit here to history’s esteemed writers and thinkers. Thoreau is right on the money in his assessment that issues such as life, death, the origins of ourselves and the universe, etc. have been tackled by many who have gone before us. Even if one reads very skeptically, there is a treasure trove of insightful, useful and just plain fascinating observations to discover. For those who have only dipped a toe into the water of such deep reading, I join Thoreau in encouraging a very deep plunge. Thoreau devotes many more words and pages to both the issue of “easy reading” as well as to extolling the virtues of great and enlightening books. This segment is but one scrumptious, albeit slightly bitter, dish included in the feast that is Walden. Those very curious about this segment can easily find it in the work’s table of contents and read it in isolation. However, it very nicely fits into and complements the remainder of this great work.